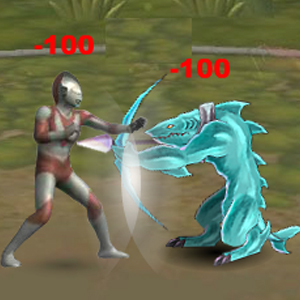 Description On the unknown planet, ultraman is fighting against monster. To win, he needs both power and skills. Help him eliminate all the monsters!